Tomorrow, a handful of brand new multiplayer maps are heading to The Last of Us. 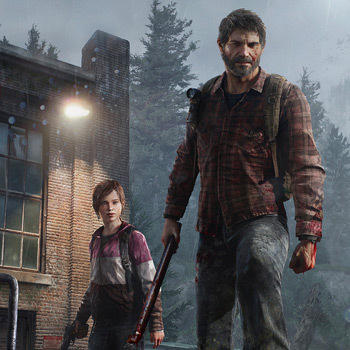 When The Last of Us was released last June, it quickly became one of the most highly praised titles of the year. Naughty Dog's latest game was constructed using subtle storytelling and nuanced character development, which was a welcome change from the kind of explosion-filled foolishness that's common in the videogame industry. However, while critics were pilling accolades onto the game's single-player campaign, the multiplayer component was consistently overlooked. But Naughty Dog is hoping to change all of that with four brand new multiplayer maps. The maps--"Bookstore," "Hometown," "Bus Depot," and "Suburbs"--will be released tomorrow and will drain $9.99 from your bank account. Though, if you already have a season pass, you won't need to worry about the cost. The new maps all attempt to draw from the single-player campaign in some way. Most of them simply revisit some of the game's more iconic locales, but "Hometown" adds a bit of depth to Joel's backstory. Players will recognize the map from The Last of Us' opening sequence, but the apocalypse has been hard on Joel's former stomping grounds. Starting tomorrow, you may have to put Grand Theft Auto V back on the shelf for a few days.